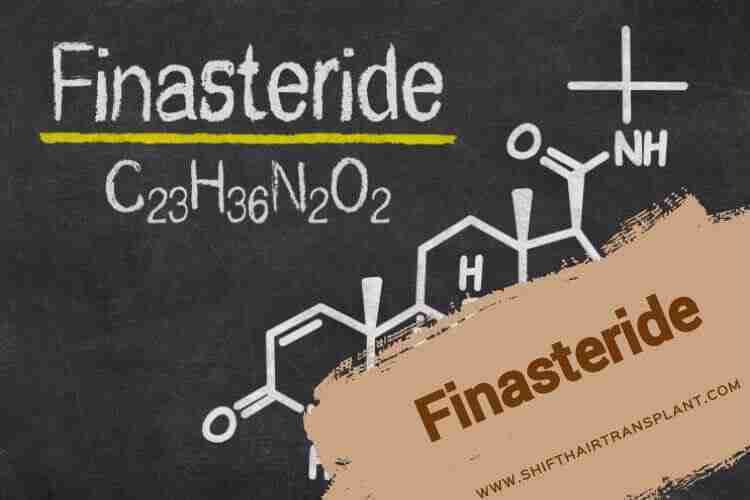 SHIFT Hair Transplant / Posts tagged "Finasteride"
We are a dedicated team that combines passion with expertise in hair restoration. We love what we do. ® SHIFT Hair Transplant is a registered trademark. Your relationship with SHIFT Hair Transplant is governed by the following Terms and Conditions. Our office is located at Gayrettepe Mah. Yıldız Posta Cad. No: 6 Beşiktaş 34349, Istanbul, Turkey with Registration Number: 77990-5. These Terms and Conditions are applicable to all our Treatment Packages. Please take your time to read through it before accepting because there are legal implications associated with it. The use of the information and services offered by this website (https://shifthairtransplant.com/) depends on your acceptance of its terms without any modification. SHIFT has the sole right to permanently or temporarily make changes to these terms and conditions, and cannot be held responsible for any damage that may be caused by such modifications, suspension or discontinuation to any third party or user. “Terms and Conditions” – These Terms and Conditions. “Schedule” – A document that gives a detailed description of the particular Treatment Package you intend to buy. “We” – SHIFT Hair Transplant, incorporated as a medical tourism company at Gayrettepe Mah. Yıldız Posta Cad. No: 6/20 Beşiktaş 34349, Istanbul, Turkey (Registration Number: 77990-5). “Service Provider” – The medical expert that provides consultation, examination, medical procedure as well as care and aftercare. “Destination” – Istanbul – Turkey. “Treatment Package” – The list of all services including operation, private transfers, accommodation, host and pre-operative tests (if needed) that you have chosen to buy from SHIFT. “Procedure” – The medical surgery or treatment you have decided to undertake. d) Any pre-operative tests recommended for you. 2.1. The information (I.e. test results, pictures, prescriptions, etc.) provided by you through email exchanges, video consultations or telephone conversations will be reviewed by the service provider (SHIFT) before treatment plans are offered. Thus, changes may be made to your treatment plan after you have been examined by the Service Provider before your Procedure. 2.2. You are at liberty to choose whether to go ahead if such changes occur. In cases like this, you are entitled to get a refund for tests, consultations and other services for which payment has been made. However, we are not responsible for refunding your travel, accommodation and transfer costs as such services are handled by third party providers who are not under the control of SHIFT. a) The name, address and telephone number of an agency in that locality that can provide assistance to you. b) The times and places of intermediate stops and transport connections. 3.3 The Schedules containing the above information, which we will provide to you, form an important part of this contract, and as such, it should be read together with it. 4.1. Before accepting this agreement, you will read the literature given to you, including information contained on our website in relation to matters highlighted in paragraph 3.1. By accepting this agreement, it means that you have read and understood the information provided to you. a) A valid, acceptable passport. b) A visa, if necessary. 4.3. It is your responsibility to submit passenger information to your airline in advance of travel if required. 4.4. All entry requirements for both your final destinations and any stop-off point must be met by you. 4.5. By failing to satisfy the requirements stipulated in paragraphs 4.1, 4.2 and 4.3, or providing incorrect information or documents, you accept that you may be denied carriage and entry to the country you are visiting. In such cases, you accept and acknowledge that you will be solely responsible for all resultant losses, and SHIFT will accept no responsibility or liability thereof. 4.6. You are fully responsible for any fines or costs (including the costs of an immediate return flight) you accrue due to your failure to travel with the required passport, visa or other documentation. In such situations, SHIFT accepts no liability as no compensation, expenses, refund or other sum will be paid. 4.7. SHIFT bears no responsibility for you missing your flight, including your connections. It is your responsibility to provide all necessary documents, including passports and visas. 4.8. You will be given health advice about your specific needs, or any required or recommended vaccinations well enough before travel. This information can be obtained from many local websites. 4.9. You are also required to seek advice from your local GP. 4.10. You are required to take out insurance with an approved insurer before purchasing a Treatment Package from us. The essence of this is to indemnify you for any losses that you may suffer due to insolvency, travel problems or medical issues. By accepting these Terms and Conditions, it implies you have accepted this obligation. 5.1. Details of your medical history must be submitted to SHIFT before beginning your journey, so as to help determine your suitability for the planned surgery. Your acceptance of these Terms and Conditions means that you agree that the details of your medical history, including your test results, pictures, prescriptions, will be shared with your Service Provider. We cannot be held responsible if the medical history form has not been thoroughly or honestly completed, or if any information is withheld. 5.2. Your acceptance of these Terms and Conditions implies giving us permission to obtain your patient file (including your examination and treatment results, treatment plan as well as before and after pictures) for our records. Be rest assured that we shall not sell or otherwise transfer your personal information to any party other than to deliver the services requested by you. 6.1. You may decide to cancel your booking at any time by notifying us in writing. The cancellation takes effect from the day on which the written notification of cancellation gets to us. The time at which the notification of cancellation is received will determine the scale of charges payable. However, the cancellation charge is always confined to actual expenses incurred and disbursements made. 7.1. The confidentiality of your personal details is of utmost priority to us. We are not going to disclose your data, records or information without your consent and will only be shared with those involved with your treatment. 8.1 SHIFT maintains all patient information in accordance with Turkish laws pertaining to the release and disclosure of personal health information in order to ensure your privacy. The before and after pictures of patients might be used for illustrative purposes, especially to show possible results from various procedures. We hereby undertake that these pictures will not be edited or enhanced in any way to change the appearance of procedure or treatment. Your personal information will not be sold or rented to third parties. Your acceptance of these Terms and Conditions implies that you agree that SHIFT can use your before and after pictures in order to operate and enhance its website, to provide customer service, to process your transactions, to carry out research and analysis targeted at enhancing its products, services and technologies as well as to display personalised content to your interests and preferences. 9.1. This Agreement is under the law of the Republic of Turkey and is within the jurisdiction of the courts of Istanbul.